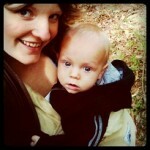 This is a joint giveaway with Me, Mothering, and Making it All Work and Natural Parents Network. You may enter at one site only. Please find the section marked “Win it!” for the mandatory entry and optional bonus entries. Via Parenting is offering our readers a giveaway of The Chaos to Tranquility Program and Complimentary 30 Minute ViaPhone Parent Coaching Session with Rachel Sklar, B.A., M.A., CPI Parent Coach, a value of $97. Recently, I had the pleasure of experiencing Rachel’s parent-coaching by phone and through her Chaos to Tranquility audio program. Both were beneficial, thoughtful, and enjoyable for me as a mother and lifted up ideas that were tailored to our family’s needs and experiences. 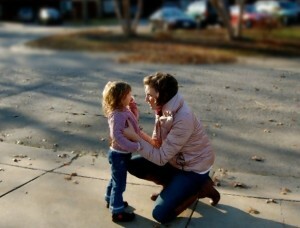 Mothering a four-and-a-half-year-old and a two-year-old is an exercise in exhaustion daily. I feel like I never get a break, and I am constantly stressed because of the tension created between my husband’s choices and mine regarding uncooperative behavior from our oldest child. 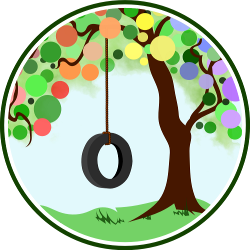 Using Rachel’s Via Parenting coaching and resources helped me to pinpoint the issues really at the root of our family schisms and brought forward some ideas to try to help mend an exhausting parenting experience into a functional one, and eventually, a really enjoyable one. First, I experienced a 30-Minute Coaching Session with Rachel Sklar of ViaParenting by phone. Scheduling the phone meeting was easy, with the ViaParenting scheduling program. One thing to remember is that Rachel is on West Coast time, so you may want to double check that you sign up for a time that is good for you in YOUR time zone, or that you email Rachel to double check your scheduled time. Rachel was incredibly understanding and flexible when I missed our conversation due to confusion over the time zones. After we rescheduled, I enjoyed a 30-minute consultation with her, in which we discussed my frustrations and the perceived frustrations of my 4-1/2-year-old and my husband as well. The first ten minutes was spent talking about why I am feeling stress in my relationship with my daughter. Rachel gives an opportunity to write a short message about your reason for scheduling a ViaParenting session before the call, so she was already slightly versed on the situation. Speaking to Rachel was less like talking to a therapist or friend and much more like talking to a partner in problem solving. She collaborates with you to identify the situation that is causing stress, and gives choices for how to try to change things in a positive way. I was a little nervous talking about my personal parenting frustrations with a stranger, and an expert at that! But Rachel had a special way of putting me at ease and was very friendly and not at all intimidating. She was genuinely happy to help me identify and troubleshoot the issues that were causing stress in my parenting experience. Rachel has a great deal of education and training behind her coaching, and shares not just empathy for parenting challenges, but really gets to the root of what might be going on. She gives researched and scientific information on the cognitive, behavioral, and emotional developmental stages of children, as well as a lot of good information on coping emotionally with the challenges of parenting. While wrapping up, Rachel was very supportive and reminded me of the information we discussed at the end of our discussion, encouraging me to view our family dynamic in a positive way and to understand our daughter’s actions in the context of her cognitive and behavioral maturity level. The ideas she lifted up were so helpful to me: I have been reminded to continue utilizing compassion, giving choices, empowering cooperative behavior, and remembering cognitive and behavioral readiness in my children in my parenting, and it makes a huge difference in the way I approach every moment with my children. Rachel offers a 30-day refund policy, but is 100% positive you’ll enjoy the course! I highly recommend the ViaParenting Chaos to Tranquility Audio Program. I enjoyed listening to Rachel’s audio course, and I was reminded very effectively of core ideas for compassionate and empowering parenting. This is not a short audio file; it is a four-part course with several hours of fantastic information regarding parenting in the preschool years and creating a healthy family dynamic. The ideas that Rachel lifts up in her four-part discussion are timeless and effective: Coming to a place of tranquility in parenting is not about viewing our children as problems that need solutions, but to get to know our children in a different way, and apply different solutions for common stressors in family life. She emphasizes that in every family, there is a real opportunity to make a breakthrough in family life, and when approached from this perspective, transformation is definitely achievable! Rachel’s voice and vocal rhythm are friendly, easily audible, and very comfortable to listen to. This is vital in an audio course: If you don’t like the sound of someone’s voice, or despise the way they are speaking, you are not going to want to listen to them for several hours! Rachel’s voice and rhythm are steady, professional, and friendly. She also leaves enough time between her guiding questions for parents to actually contemplate their answers and thoughts. I may have paid more attention at certain points if there were some additional audio sounds to bridge or designate certain segments of the audio recording. I found myself getting a little bit distracted as I listened, having only Rachel’s voice (and the voices of those calling in) on the recording. Rachel suggests that the course is excellent to listen to while commuting, working, relaxing, or multitasking, but if there were more bridging and segmenting sound effects, or maybe even a bit of music to bring me back into the course if I started to drift away in thought or work, that would have been very effective! The most engaging portions of the recordings were the portions in which Rachel took questions and facilitated discussions among the participants in the calls. I did not get distracted from the material at all when the participants were discussing and brainstorming solutions for their challenges. Ultimately, the program is extremely effective in encouraging parents to make simple changes in controllable aspects of life, proceeding through the chaos and moving through breakthroughs into a new area of tranquility with their children. I especially loved the private Facebook group included in the course. To be able to connect with others who are following the very same program is useful and empowering. Sharing challenges, questions, and joys during the program and after listening to all four segments is a super-beneficial part of this course. Rachel has done a lovely job creating a secret, closed Facebook group for participants and graduates of the Chaos to Tranquility program to connect with others and explore the information in a safe and confidential area, in a very familiar setting — Facebook. There is no need to sign up or sign in to a separate forum, which would have probably deterred me from using the discussion portion of the course. Because it is right there on Facebook, it was so convenient to really apply the ideas that Rachel lifted up and then discuss it with others in the group. Overall, Chaos to Tranquility in the Preschool Years is a great program for parents looking to make a breakthrough in their family dynamic. It is a great option for busy parents, as there is no set timeframe or meeting to attend, and going through the course can be as fast or as leisurely as fits your needs. The best part is that once you purchase and download the course materials, you can listen to them over and over again for refreshing the excellent ideas and tools that Rachel has to offer every parent. For your own chance to win the Chaos to Tranquility Program and Complimentary 30-Minute ViaPhone Parent Coaching Session from ViaParenting, enter by using our Rafflecopter system below. The winner will receive entrance into the Chaos to Tranquility Program (ARV $97 USD), including four recorded and downloadable parent coaching sessions, a downloadable guidebook, and access to the private Facebook discussion group. Contest is open to U.S. only. This is a joint giveaway with Me, Mothering, and Making it All Work and Natural Parents Network. You may enter at one site only, and we’ll be recording IP addresses to ensure that there are no duplicate entries. That said, please do visit and enjoy both sites! Contest closes July 13, 2013, at 11:59 p.m. Eastern Time. 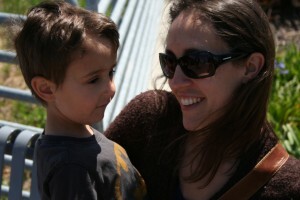 Amy is a Coast Guard wife and full-time mother to two enthusiastic and lovely children, Abbey (4) and Joe (2). She writes at Me, Mothering, and Making it All Work about navigating an authentic parenting, natural living, military family journey with as much grace as she can manage. She is a full time online student of Public Health, and particularly interested in learning and writing about compassion, cooperation, and responsibility as they relate to mindful living and parenting. In addition to mothering and blogging, Amy enjoys sewing cloth diapers, knitting, and volunteering as a La Leche League Leader. She has been featured on Code Name: Mama, ACU’s, Stiletto Shoes, and Pretty Pink Tutus, and Milk Mamas Speak, and loves being a part of the wonderful Natural Parenting community!